Mountain Shadows Park will be improved and renovated, as part of the restoration of the neighborhood, with extensive input from citizens living within the community. Mountain Shadows Park is a city-owned park, and therefore the City of Colorado Springs Parks and Recreation Department will be running the project. 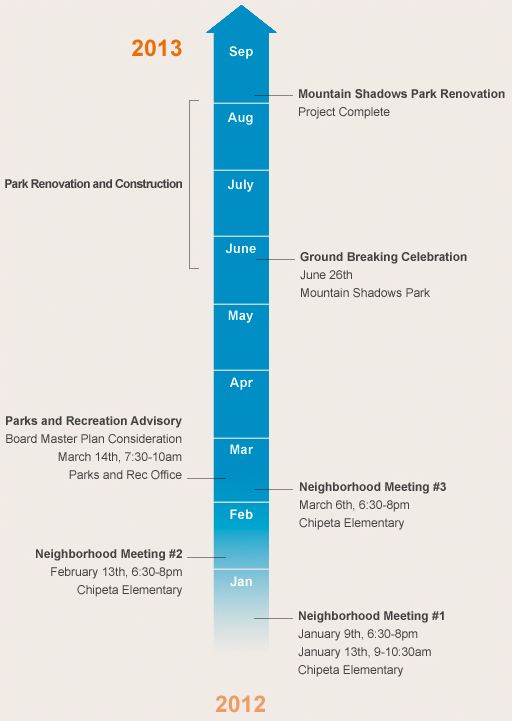 The process will include several meetings with neighbors as well as other activities over the next few months with the objective of completing the work by August 2013. 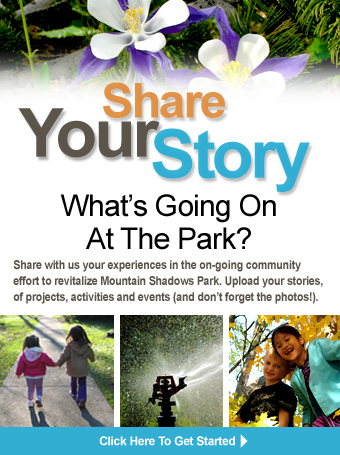 Thank you for your feedback on the Mountain Shadows Park Project. Submission #0 has been sent.